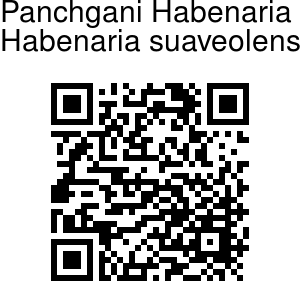 Panchgani Habenaria is an orchid named after the place Panchgani where it was first found. 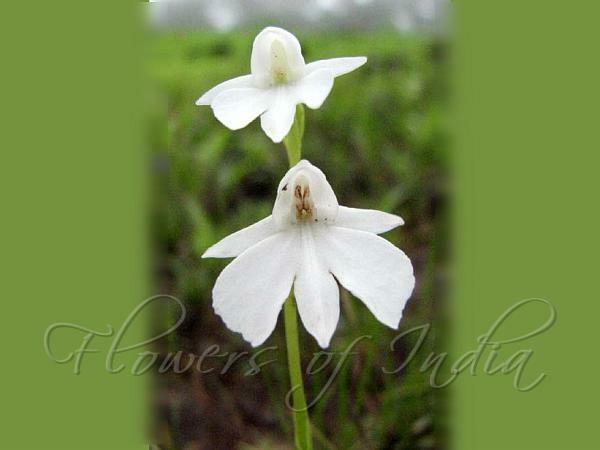 It is a terrestrial herb, growing up to 10-20 cm high. One or two tubers, oblong, 2 cm. Leaves 3-5, arising from the root, elliptic-oblong, 2-8 cm. Flowers occur in a many-flowered raceme 5-15 cm long. Stalk is round, rigid and ribbed. Flowers are white and fragrant. White petals are 10-12 mm. Lip is 15-22 mm. white, broadly ovate, 3-lobed. The straight, greenish white spur is 8-11 mm long. Identification credit: Rahul Prabhu Khanolkar Photographed in Belgaum, Karnataka.